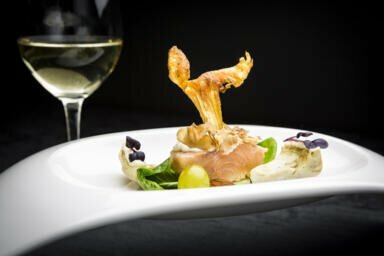 The exclusive gourmet restaurant Ice Q next to the top of the Gaislachkoglbahn cable car is famous for its haute cuisine – an expression which can be taken literally up here at more than 3,000 metres above sea level! This unique summit restaurant rose to fame a few years ago when it was used during filming for the James Bond film "Spectre". 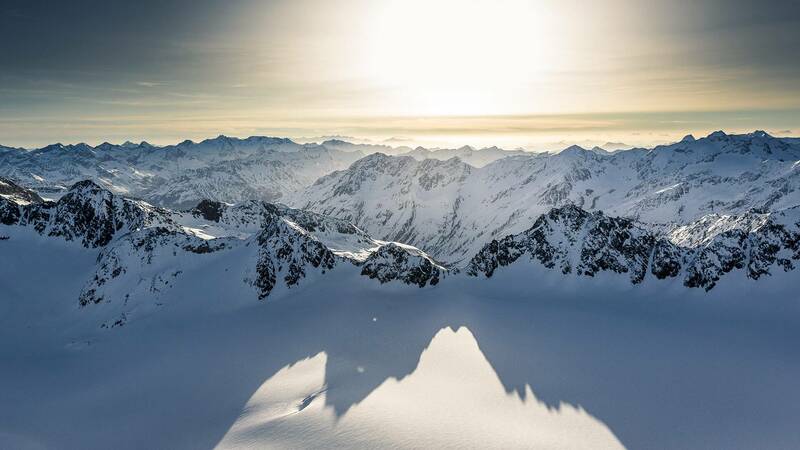 Guests can follow in the footsteps of 007 and enjoy a meal overlooking more than 250 mountains over 3,000m. The restaurant has even created its own wine called Pino 3000. The Hotel Bergland is a partner business of the Ice Q restaurant. Simply speak to a member of staff at the hotel and we will be happy to book a table for you at the Ice Q. Access to this exclusive eatery high above the clouds is quick and easy thanks to the Gaislachkoglbahn, one of the highest cable cars of its kind in the world. This eye-catching piece of technology is capable of transporting 3,600 passengers per hour. 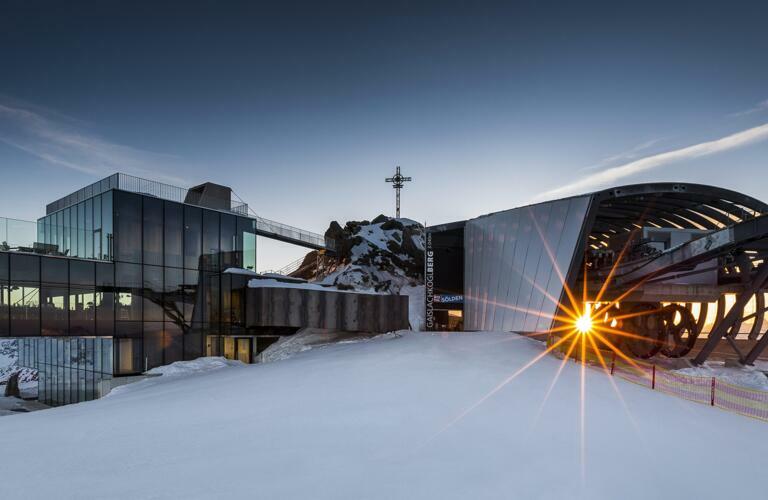 Up at the top, it is time to settle down for an exquisite meal at the Ice Q in futuristic surroundings with glass walls giving a 360° panoramic view of theÖtztal Alps. Days out on the slopes with Hotel Bergland owner and multiple world powder skiing champion Sigi Grüner often culminate in a luxurious meal in the Ice Q restaurant at over 3,000 metres.